In this novel, Castle on the Rise, I got to meet with some of the previous characters I loved along with new ones. Ellie is finally getting married and now, her friend Laine seems to be getting her story of a lifetime. The writer, Kristy Cambron, brings me back to the history of a lost castle and the people involved with it. Switching back and forth from present day to the past, I couldn’t stop reading. There was so much to experience and know. This knowledge made the present day life with Laine a must read. It contained history. I love delving deep into the past. Kristy Cambron never makes history dull. 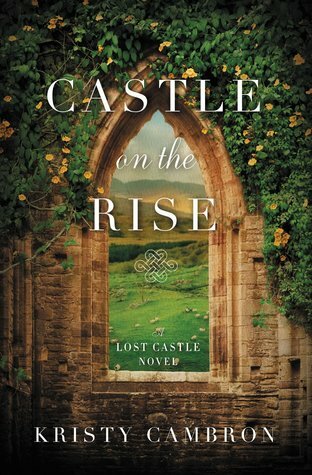 It came to life here in her second novel, Castle on the Rise. This story is heartfelt, engaging, and an adventure of a lifetime. I highly recommend this book to all readers.